Ernest Bramah is mainly known for his ‘Kai Lung’ books – Dorothy L Sayers often used quotes from them for her chapter headings. In his lifetime however he was equally well known for his detective stories. Since Sherlock Holmes we have had French detectives, Belgian detectives, aristocratic detectives, royal detectives, ecclesiastical detectives, drunken detectives and even a (very) few quite normal happily married detectives. 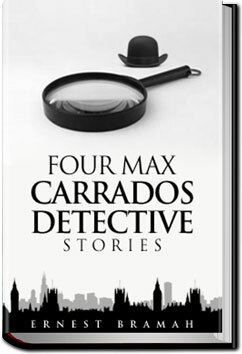 Max Carrados was however probably the first blind detective. This entry was posted in Reading and tagged allyoucanbooks.com review, free audio books online, free audiobooks, free books online, free ebooks download, unlimited audiobook subscription, unlimited crime books on November 10, 2015 by all-you-can-books.